Last week was a little light on gaming as we are all trying to adjust to Xander being back at school. I've also been trying to play "beat the snow" and get some of the last of the outdoor projects done. I know we are barely into the middle of September, but it is currently 8C (46F) here and with all the snow they had in Calgary last week, I'm getting a bad feeling that the snow might show up early. I played a few sessions of The Elder Scrolls Online last week with my buddy. I am still really enjoying the new-to-me Aldmeri Dominion's area after completing the entire Daggerfall Covenant region I started in. The area we are in is so rich and vibrant with colour. It is also nice to have finally hit a difficulty that challenges us more often. They've done a great job in keeping me motivated to go and see all the other content the game has to offer as it is such a wonderful looking game. New lands, unique dungeons, and bosses I've never experienced makes the game feel fresh all over again. I'm going to have to spend some time this weekend making some serious inventory decisions as I am full to bursting. My bank is full and needs a large amount of money to upgrade and the same is true with my inventory. I'm a terrible packrat particularly with armour set pieces, so I'll have my work cut out for me. 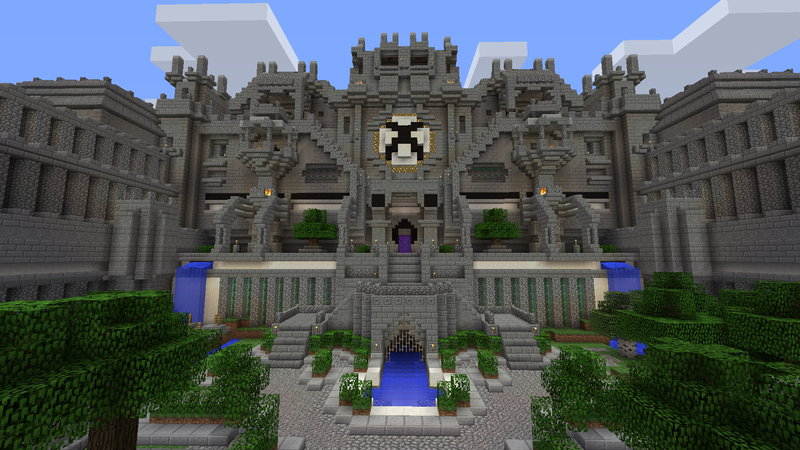 Last Sunday saw the release of Minecraft for the Xbox One (and PS4 the day prior). Minecraft is my son's obsession. He lives and breathes Minecraft. His room is decked out in Minecraft posters, foam weapons, Minecraft toys and stuffed animals. To say he was excited for the Xbox One release would be a huge understatement. I've been back to playing survival with him after school before homework. There is something so captivating about the game. It seems to run slightly better splitscreen on the Xbox One and the draw distance is improved. Also, the worlds are apparently 32x larger but that's overkill to me. I thought the 360 worlds were already fairly massive. I'm really loving this hardware generation for allowing people to upgrade their software to the newest platforms at little to no cost. My son was able to transfer all of his purchased skin packs and texture packs to the Xbox One for free from the 360. Also, upgrading from the 360 version of Minecraft to the Xbox One version was only $5.00. So with the purchase of two new skin packs and the upgrade to the Xbox One version of Minecraft, it only ran my son around $10 to get up and running on the Xbox One. Damn fine deal if you ask me. Speaking of upgrading to the current generation, I'm still waiting on Harmonix/Xbox to fix the song upgrades from the 360 to the Xbox One for Dance Central Spotlight. I have to give them a lot of credit for all the investigations and information they've been gathering on the Dance Central forums. I'm loving the new dances, warts and all, and I'm already a little more fit from dancing over a week now compared to Dance Central 3. I did the fitness mode last night for the first real workout in that mode and a 30-minute workout there was so much more intense than an hour and a half of normal dancing. However, it feels a lot more like aerobics for the strength and cardio routines than the regular dance routines; I suppose that's the point. It is certainly wonderful to have lots of options though. I hope to be able to start GTA IV this weekend and get my inventory crisis in The Elder Scrolls Online sorted out.